Very efficient staff, thanks to Jimmy for making our check-in quick and hassle free. Really appreciate Jimmy who helped us booked a ride for our group of 13 persons. Other staffs were also very helpful. A great help also for allowing us to leave some of our luggages while we visit other cities near Shanghai. Breakfast from Elements Fresh is fantastic. Much better than the general business hotel buffet. Room was good, gym was decent. Bottled water was provided every day. Staff did nice job helping us with whatever we needed. Extra bed is 150 RMB per night, need to call ahead. Room was very spacious and clean, the bed was super comfy, nice bathroom and enough/good quality amenities, very useful kitchen, polite employees, location is almost perfect. The 3 Bedroom was great in terms of space and set up. The location, hotel's condition, room's condition, bathroom, room's facility. 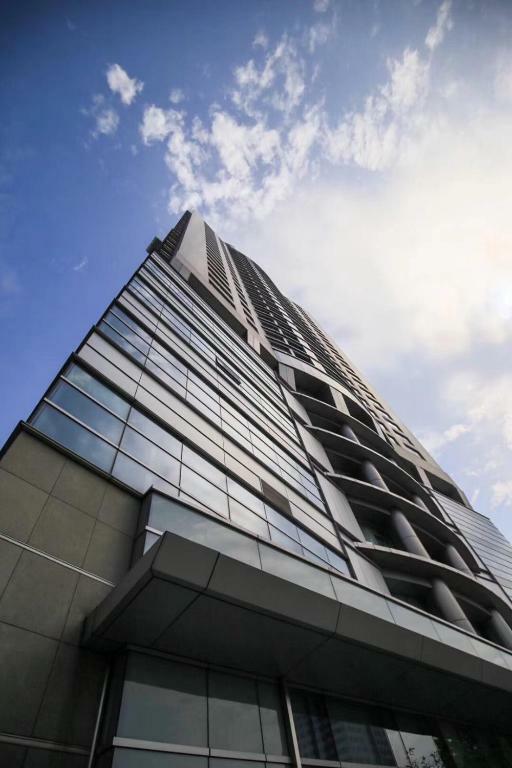 Lock in a great price for Fraser Residence Shanghai – rated 8.8 by recent guests! 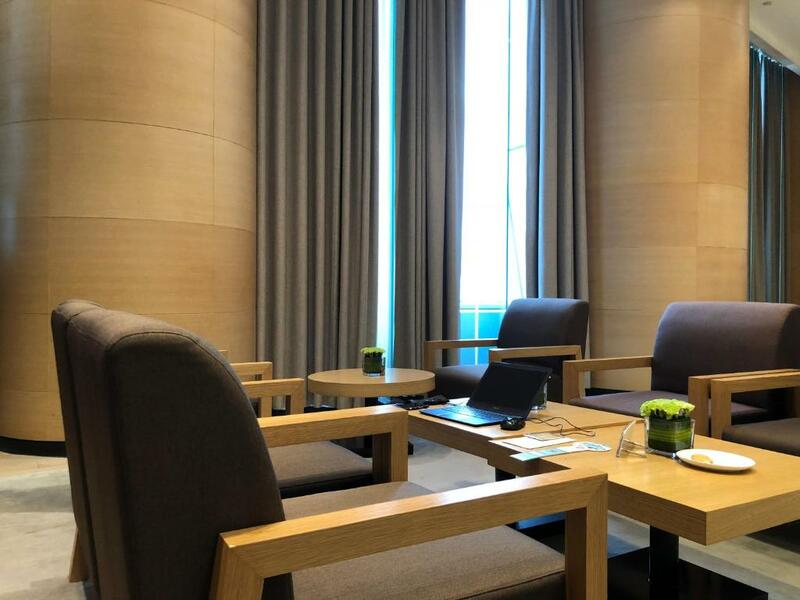 One of our top picks in Shanghai.A peaceful retreat in the bustling city, Fraser Residence Shanghai is one block from Middle Huaihai Road, Shanghai’s business and entertainment center. Offering comfort and convenience in airy apartments fusing Art Déco and Oriental-inspired bamboo accent, this eco property features air filter, water filter and water softener. Recreational options include a wellness center and an indoor heated pool. The property provides free WiFi. Fraser Residence Shanghai is a 5-minute walk from Dongtai Antique Market and iconic bars and restaurants in Xintiandi Area, as well as the famous Shikumen Houses nearby. It takes less than 10 minutes by foot to Laoximen Metro Station (Line 8 and Line 10) and various tourist sites like City God Temple. Yuyuan Garden, People’s Square and the shopping belt of Nanjing Road are a 10-minute drive away. Fraser Residence Shanghai is a 37-minute drive to Shanghai Disneyland. Shanghai Hongqiao Railway Station can be reached in 20 minutes by car. Bright and airy suites offer spacious and elegant interiors with plenty of natural light. They all have private balconies where views of the city can be enjoyed. Each suite has a separate living area and is fitted with a flat-screen cable TV. Hotel also provides car rental and laundry services. 뀐 Located in the real heart of Shanghai, this property has an excellent location score of 9.0! 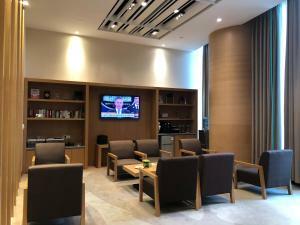 When would you like to stay at Fraser Residence Shanghai? 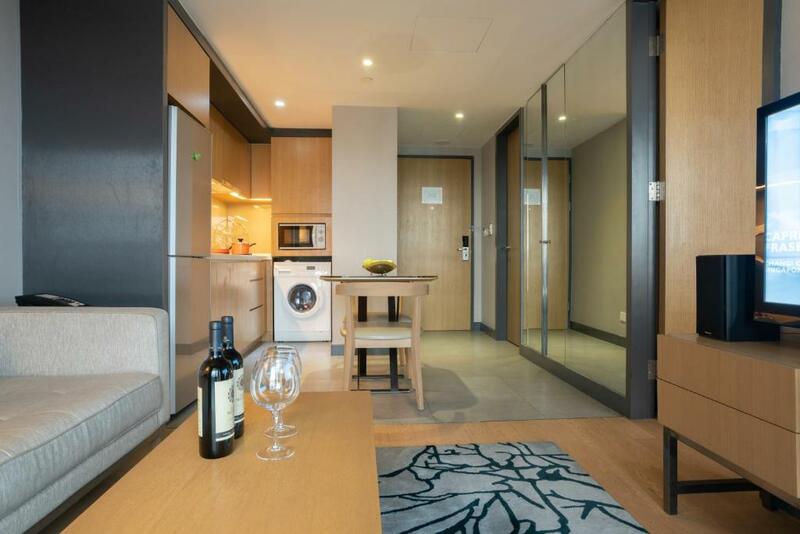 Larger in size, featuring a balcony with city view and free WiFi, this studio offers a water filter, an air filter, a washing machine, a dryer and a LED TV. The kitchen provides a fridge and a microwave. 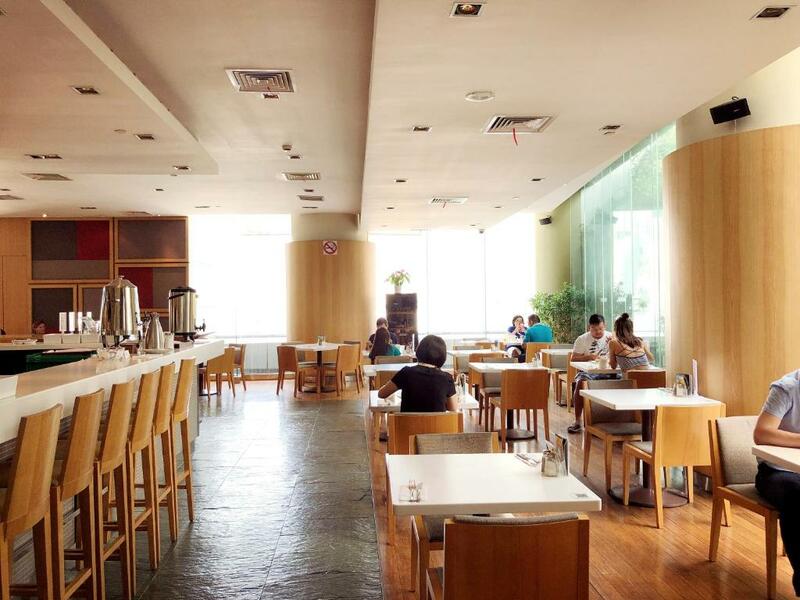 Public parking is available on site (reservation is not needed) and costs CNY 20 per hour. Featuring city view and free WiFi, this studio offers a water filter, an air filter, a washing machine, a dryer and a LED TV. The kitchen provides a fridge and a microwave. Featuring a living room and a balcony, this apartment offers a water filter, an air filter, a washing machine, a dryer and a LED TV. The kitchen provides a fridge and a microwave. This twin room features a bathrobe, cable TV and sofa. Larger in size, featuring a living room and a balcony, this apartment offers a water filter, an air filter, a washing machine, a dryer and a LED TV. The kitchen provides a fridge and a microwave. Please note that the bed for the 3rd guest is set in the apartment living room. Coming with 2 bedrooms and 1 living room, this apartment a water filter, an air filter, a washing machine, a dryer and a LED TV. The kitchen provides a fridge and a microwave. This penthouse offers a well-equipped kitchen and a dinning area. A washer and dryer can be found. Views of the city can be enjoyed. This studio has a cable TV, washing machine and microwave. 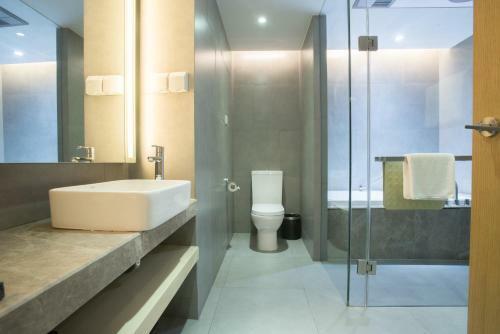 Just a stone’s throw from Huaihai Road, Fraser Residence Shanghai is a tranquil sanctuary in a vibrant location. 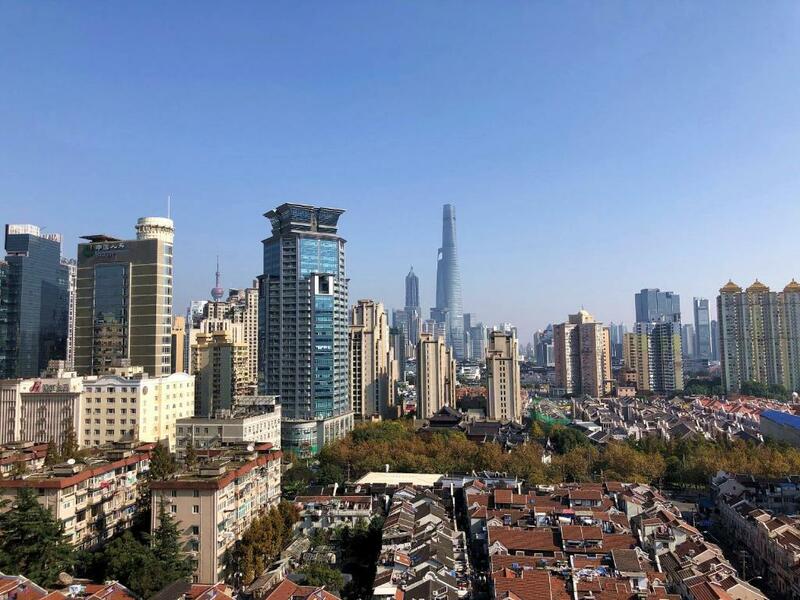 Our apartments offer excellent proximity to Xintiandi, Shanghai's bustling hub for business, shopping and entertainment. I'm Revenue Manager in Fraser Residence Shanghai! I'm focus on the hotel environment and location when I make hotel booking. 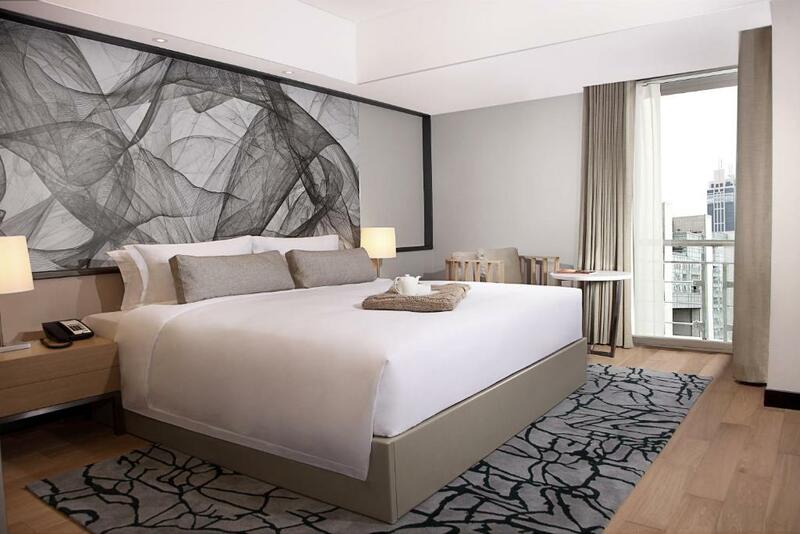 I like modern style design hotel. House Rules Fraser Residence Shanghai takes special requests – add in the next step! Greatwall Peony Pacific Jin Fraser Residence Shanghai accepts these cards and reserves the right to temporarily hold an amount prior to arrival. Fraser Residence Shanghai accepts these cards and reserves the right to temporarily hold an amount prior to arrival. Please inform Fraser Residence Shanghai of your expected arrival time in advance. You can use the Special Requests box when booking, or contact the property directly using the contact details in your confirmation. The executive studio layout is not that nice. The staff are friendly and the apartment is clean. This is a 30 level property, and accommodates tourists from all around the world. Money exchange facilities (money exchange at the reception, or at least a money exchange machine) is a must I believe for a 5-star hotel of this size. It wouldn't have been a problem if China was like other Asian countries (e.g. Thailand) where money exchange shops are widely available, but in China money exchange is only possible through banks, their authorised representatives in major hotels, or money exchange machines (with lower rates than the banks). Also, we were staying in a unit facing the restaurant and the main road, and it was noisy late night / early mornings. If you're light sleeper this would definitely be a problem for you. The unit was spacious with a private balcony, and had everything you need including kitchen appliances, washing machine, microwave, cutlery, dining table etc. The shower was excellent, plenty of hot water . Wifi signal was excellent. Room and bathroom were clean. Restaurants on Level 6 (2 restaurants, which we were told are not associated with the hotel but had special prices for hotel guests) had a good choice of lunch and dinner, but breakfast was limited, still delicious. Location is close by to major Shanghai tourist areas. Quite a lot of noise from the hallway/other people slamming doors. In addition the aircon condenser was outside the lounge window and was extremely noisy!!! We have a wonderful stay in Fraser. The staff are friendly and helpful. Special thank to Ms Kiki for her assistance and extra mile of service. Don't be fooled by the promise of a large balcony (I think it was the studio executive room). It's tiny and the room just feels small instead. Pretty good location and relatively cheap. 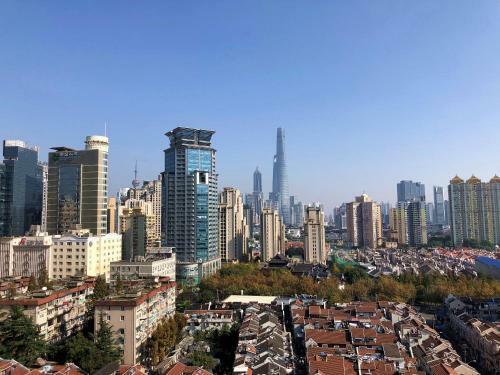 You'll have to walk a little bit (10-15 mintues) to get to xintiandi, one the really exciting areas in Shanghai and the metro station nearby is not the most convinient one, but the walk will be through a pretty nice area so it's not a big deal. Excellent location, close to Xintiandi, walking distance from Bund and Nanjing Road area restaurants and nightlife. Great access to MRT. Rooms are gorgeous, spacious, subtle modern design. No frills check in. Good for extended stays. this time we had big problems with the air conditioning inside the room. As the room was a little warm, before sleeping we turned it on just to lower 2 degrees. after 3 hours we all woke up with sore and aching throat, and our 9 months old baby could not sleep anymore, even if we turned it off. I guess Fraser staff need to seriously check the air conditioning filter, otherwise it is impossible to sleep in that room. clean room, enough space for a baby cot near the bed. kitchen well equipped. Not a good breakfast. It was a-la-carte style (nothing wrong about it) but with very few options. Coffee was horrible, not many juices options or fruits. Coffee from expresso machine on the Business Center was far better. Not too many options for a diner. Restaurants closes early. Well located with short taxi distances for almost everywhere. Walking distance to Xindiandi with lots of stores and restaurants. Very good rooms, very comfortable bed but not luxurious. Small kitchen available for a quick meal or a breakfast (breakfast at hotel is really bad). the breakfast can be much better. The staff at the front desk were so helpful.